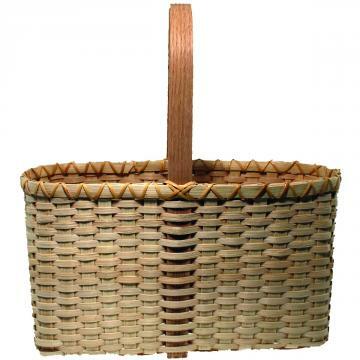 Easy Tote Basket Weaving Kit. 5x14" D handle, flat reed. Roomy and simple to weave! 5x12" base; 14" tall. Adult Beginner Level. Also available as part of our "Big Kit" Special. See the Specials page for more info.